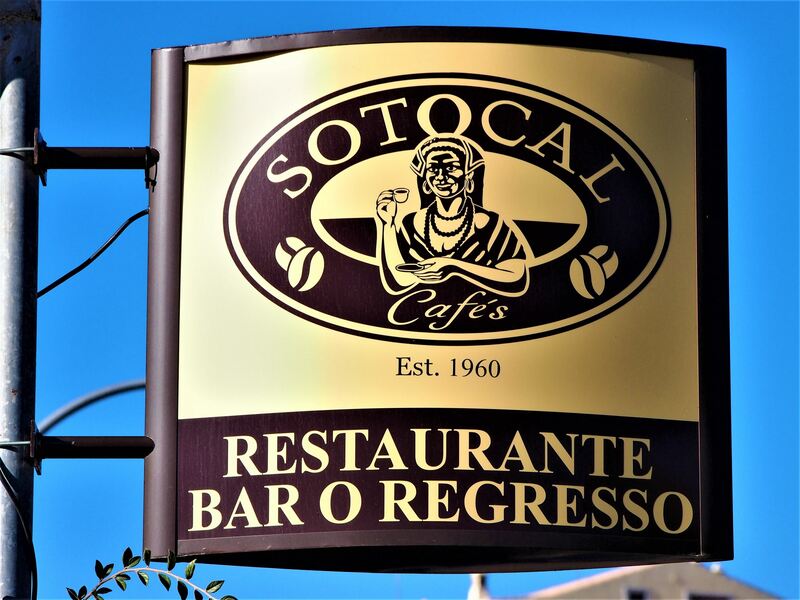 Loule 5 day tour - Day 5 and the last day. 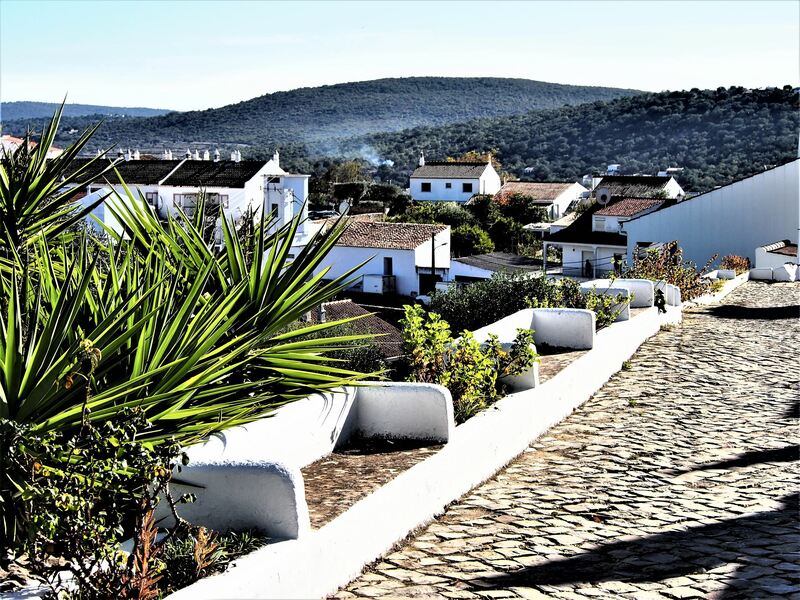 There’s​ ​more​ ​to​ ​the​ ​Algarve​ ​than​ ​just​ ​beaches,​ ​the​ ​mountain​ ​villages​ ​of​ ​Salir​ ​and​ ​Alte​ ​show​ ​a​ ​different side​ ​of​ ​this​ ​amazing​ ​region,​ ​one​ ​that​ ​is​ ​made​ ​up​ ​of​ ​hills,​ ​castles​ ​and​ ​waterfalls. I​ ​planned​ ​a​ ​full​ ​day​ ​just​ ​to​ ​explore​ ​these​ ​two​ ​towns,​ ​starting​ ​in​ ​Salir​ ​and​ ​moving​ ​on​ ​to​ ​Alte. 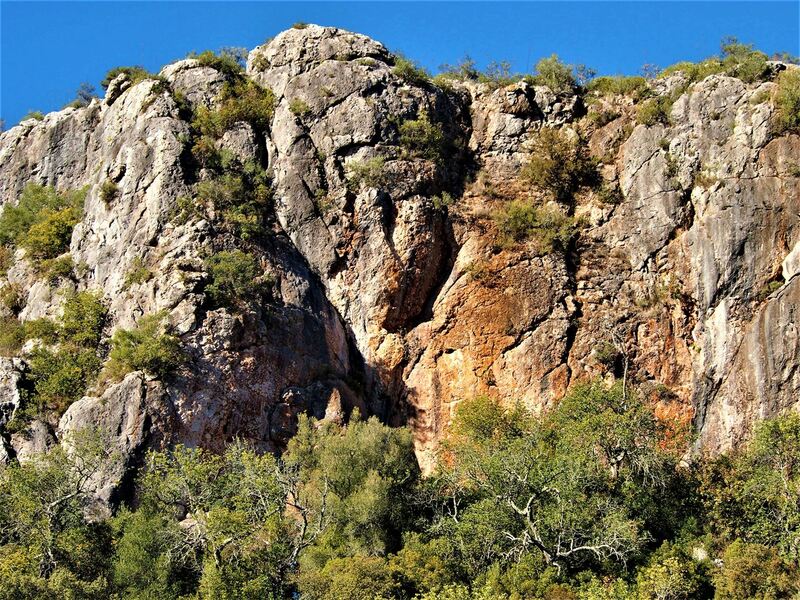 On​ ​the​ ​way​ ​to​ ​the​ ​Castle​ ​of​ ​Salir,​ ​I​ ​stopped​ ​at​ ​Fonte​ ​Benémola,​ ​a​ ​stunning​ ​nature​ ​reserve​ ​and​ ​one​ ​of Loulé’s​ ​most​ ​hidden​ ​gems. 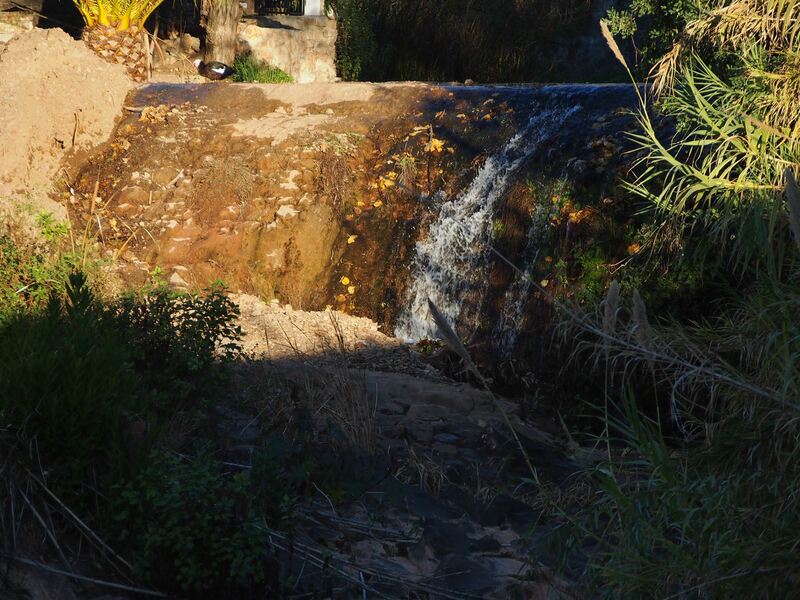 A​ ​stream​ ​called​ ​Menalva​ ​runs​ ​through​ ​this​ ​protected​ ​area.​ ​Menalva​ ​is​ ​supplied​ ​by​ ​several​ ​water​ ​springs, allowing​ ​it​ ​to​ ​keep​ ​water​ ​all​ ​year​ ​round. During​ ​the​ ​summer,​ ​a​ ​craftsman​ ​sits​ ​near​ ​the​ ​stream​ ​making​ ​baskets​ ​with​ ​cane,​ ​a​ ​material​ ​that​ ​is​ ​quite common​ ​around​ ​here. Following​ ​the​ ​walking​ ​trail,​ ​you’re​ ​likely​ ​to​ ​come​ ​across​ ​several​ ​plant​ ​species​ ​and​ ​animals,​ ​such​ ​as​ ​the colourful​ ​kingfishers,​ ​tortoises​ ​and​ ​frogs.​ ​Sometimes,​ ​it’s​ ​even​ ​possible​ ​to​ ​observe​ ​otters​ ​in​ ​Fonte Benémola,​ ​but​ ​it’s​ ​a​ ​rare​ ​phenomenon. Further​ ​north​ ​I​ ​visited​ ​the​ ​Castle​ ​of​ ​Salir,​ ​an​ ​Almohad​ ​fortress​ ​set​ ​amid​ ​the​ ​mountains.​ ​The​ ​castle​ ​was built​ ​during​ ​the​ ​12th​ ​century​ ​and​ ​belonged​ ​to​ ​the​ ​Moorish​ ​until​ ​it​ ​was​ ​captured​ ​by​ ​the​ ​Christians​ ​at​ ​the end​ ​of​ ​the​ ​century.​ ​Later,​ ​it​ ​was​ ​destroyed​ ​in​ ​a​ ​fire​ ​and​ ​subsequently​ ​left​ ​to​ ​ruins. Today,​ ​only​ ​a​ ​tower​ ​and​ ​two​ ​wall​ ​sections​ ​remain​ ​from​ ​this​ ​Moorish​ ​castle.​ ​While​ ​you’re​ ​here,​ ​make​ ​sure to​ ​visit​ ​the​ ​small​ ​museum​ ​near​ ​the​ ​castle​ ​where​ ​you​ ​can​ ​find​ ​several​ ​items​ ​that​ ​were​ ​discovered​ ​during excavations. 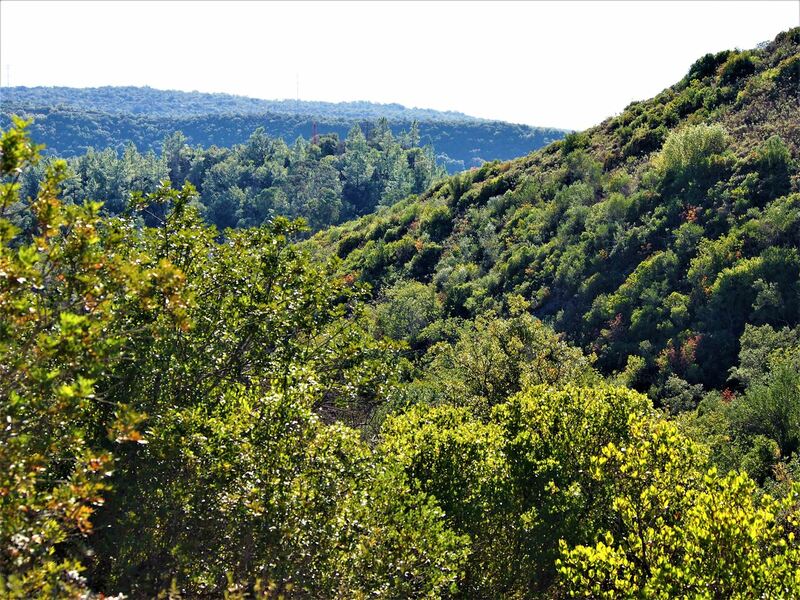 I​ ​stayed​ ​in​ ​Salir​ ​for​ ​lunch​ ​and​ ​ate​ ​at​ ​O​ ​Regresso.​ ​Then,​ ​I​ ​headed​ ​to​ ​the​ ​national​ ​park​ ​Rocha​ ​da​ ​Pena. Set​ ​between​ ​the​ ​towns​ ​of​ ​Salir​ ​and​ ​Benafim,​ ​this​ ​rocky​ ​structure​ ​has​ ​a​ ​maximum​ ​height​ ​of​ ​479​ ​meters and​ ​extends​ ​for​ ​over​ ​600​ ​hectares. 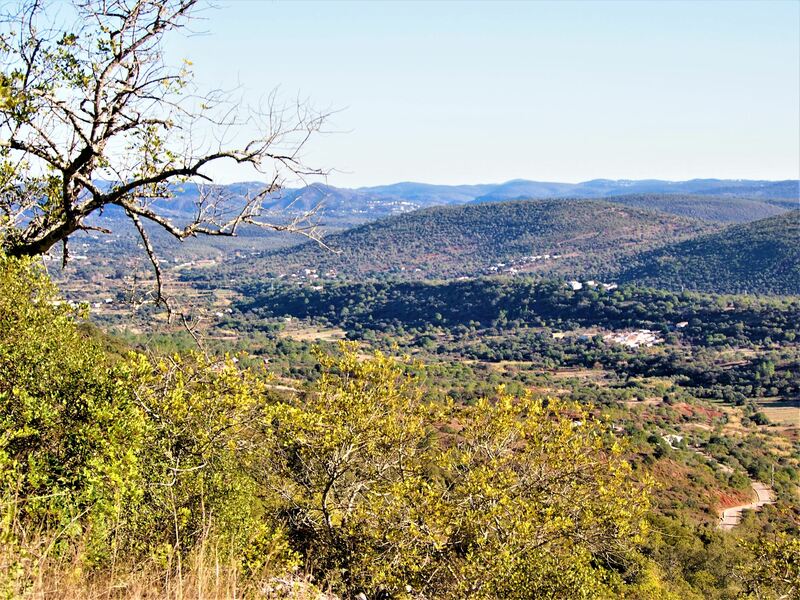 Climbing​ ​and​ ​hiking​ ​are​ ​the​ ​most​ ​popular​ ​activities​ ​at​ ​Rocha​ ​da​ ​Pena.​ ​The​ ​walk​ ​is​ ​tiring​ ​at​ ​first​ ​but​ ​it’s worth​ ​the​ ​effort​ ​once​ ​you​ ​get​ ​to​ ​the​ ​top​ ​of​ ​the​ ​cliff​ ​and​ ​enjoy​ ​the​ ​magnificent​ ​views​ ​with​ ​the​ ​ocean​ ​in​ ​the distance. 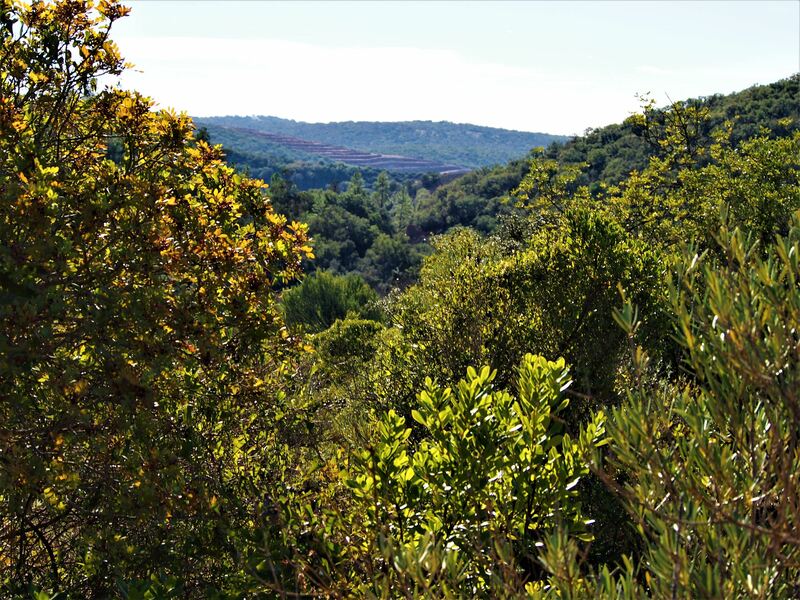 In​ ​Spring,​ ​you’ll​ ​find​ ​many​ ​plants​ ​flourishing​ ​at​ ​Rocha​ ​da​ ​Pena,​ ​specially​ ​wild​ ​orchids,​ ​but​ ​also​ ​narcissus and​ ​the​ ​wild​ ​peony,​ ​all​ ​adding​ ​layers​ ​of​ ​colour​ ​to​ ​this​ ​mountainous​ ​region.​ ​Visitors​ ​arriving​ ​in​ ​Autumn​ ​or Winter​ ​will​ ​also​ ​be​ ​greeted​ ​by​ ​several​ ​bird​ ​species​ ​that​ ​migrate​ ​here,​ ​including​ ​alpine​ ​accentors​ ​and​ ​ring ouzels. 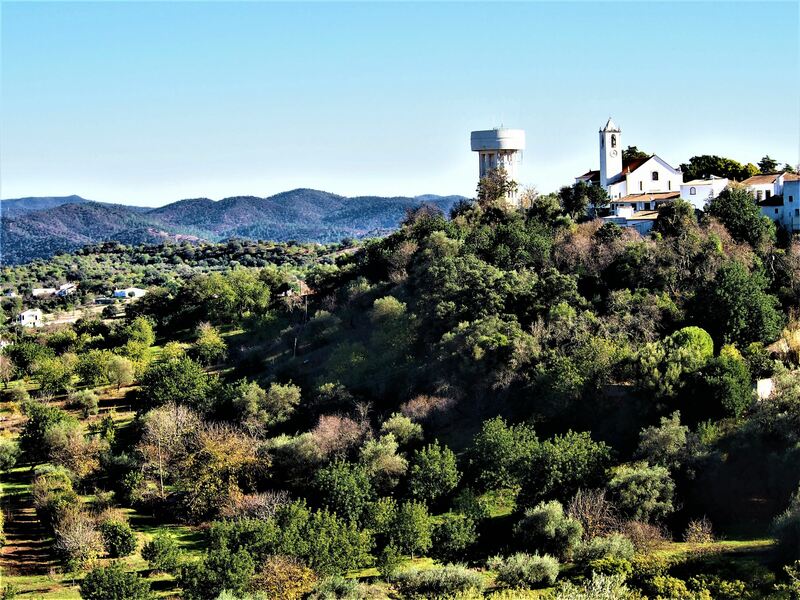 The​ ​village​ ​of​ ​Penina​ ​and​ ​the​ ​windmills​ ​are​ ​a​ ​few​ ​other​ ​sites​ ​that​ ​you​ ​should​ ​check​ ​while​ ​visiting​ ​Rocha da​ ​Pena. 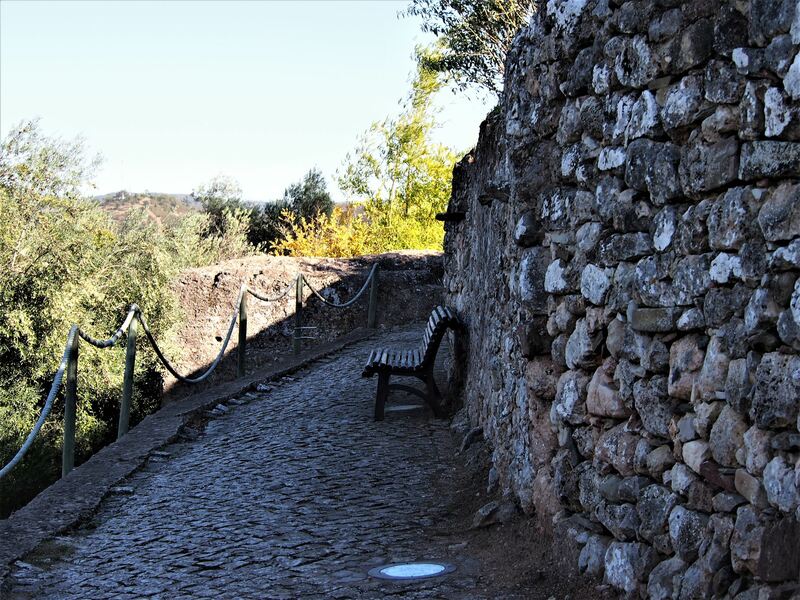 Rocha da Pena - there's a path taking you all the way to the top, with a café at the bottom for much needed refreshment. 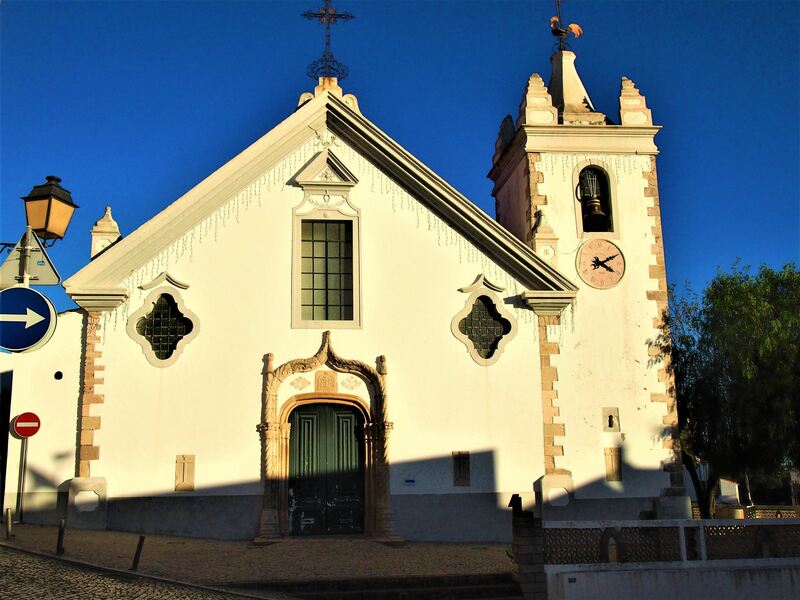 After​ ​completing​ ​the​ ​trail​ ​I​ ​continued​ ​driving​ ​until​ ​Igreja​ ​Matriz​ ​de​ ​Alte.​ ​Dating​ ​back​ ​to​ ​the​ ​13th​ ​century, this​ ​local​ ​church​ ​is​ ​also​ ​decorated​ ​with​ ​tiles​ ​featuring​ ​figures​ ​of​ ​angels​ ​playing​ ​musical​ ​instruments​ ​in between​ ​the​ ​clouds. 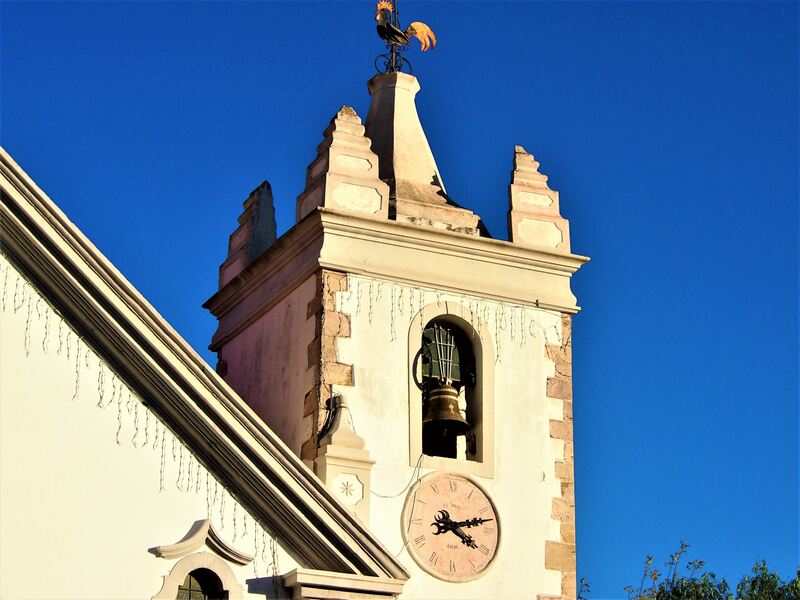 Outside,​ ​two​ ​crosses​ ​rise​ ​above​ ​the​ ​building’s​ ​roof,​ ​one​ ​on​ ​top​ ​of​ ​the​ ​church​ ​and​ ​the​ ​other​ ​on​ ​the​ ​bell tower,​ ​where​ ​a​ ​weathervane​ ​also​ ​stands​ ​pointing​ in ​the​ ​direction​ ​of​ ​the​ ​wind. 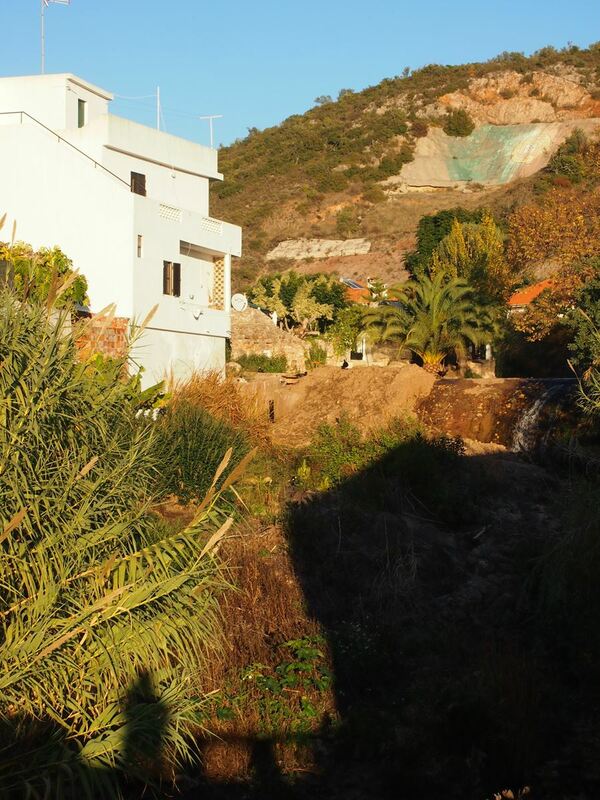 From​ ​here,​ ​I​ ​walked​ ​to​ ​a​ ​waterfall​ ​known​ ​as​ ​Queda​ ​do​ ​Vigário.​ ​In​ ​the​ ​old​ ​days,​ ​Queda​ ​do​ ​Vigário​ ​was​ ​a popular​ ​spot​ ​for​ ​locals​ ​that​ ​came​ ​here​ ​to​ ​bathe​ ​on​ ​Sundays​ ​or​ ​special​ ​holidays.​ ​Today​ ​it’s​ ​frequented​ ​by anyone​ ​looking​ ​to​ ​cool​ ​down​ ​on​ ​a​ ​hot​ ​summer​ ​day. 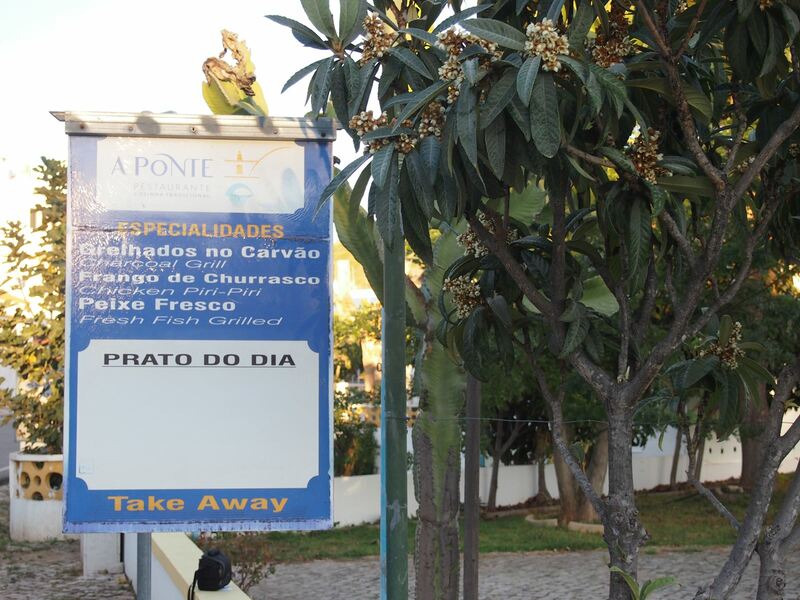 To​ ​finish​ ​the​ ​day,​ ​I​ ​stopped​ ​at​ ​the​ ​restaurant​ ​A​ ​Ponte​ ​for​ ​dinner,​ ​a​ ​casual​ ​restaurant​ ​that​ ​serves​ ​typical food​ ​from​ ​the​ ​Algarve​ ​at​ ​an​ ​affordable​ ​cost.​ ​Satisfied​ ​with​ ​my​ ​meal​ ​I​ ​drove​ ​back​ ​to​ ​Quinta​ ​do​ ​Freixo​ ​for the​ ​night.